Have you already tested your home or business and want to reduce your radon concentration? Are you interested in employing preventative measures in new construction or renovations? LEX Scientific employs an experienced team of highly trained C-NRPP certified Radon Measurement Professionals and Mitigators, and experts on radon resistant construction to help you fix or prevent a radon problem. 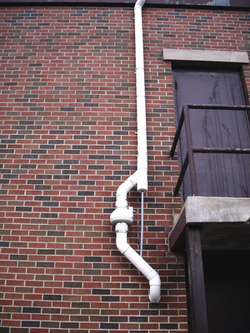 We have extensive experience designing and constructing radon mitigation systems for single/multi unit residential, commercial and institutional large-scale projects. We provide expert consultation on radon resistant construction for new builds and renovations in accordance with national and provincial standards and building codes, as well as published radon mitigation standards. A real time radon detector used during investigations assists in mitigation planning. The LEX Radon team has been working with the City of Guelph at the forefront of municipal action against radon in Ontario. 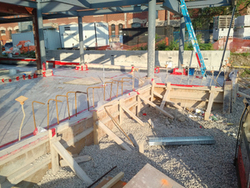 In 2015, with our consultation, the City of Guelph implemented the Radon Gas Mitigation Program to proactively address radon gas in new buildings and additions. 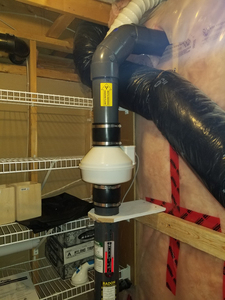 This program is the first of its kind in Ontario and has received praise from the Canadian Cancer Society for its approach to minimizing radon gas exposure and increasing public radon awareness. More information about the Radon Gas Mitigation Program can be found on the City of Guelph website. 1 Griffiths, Karen. (2015, September 12). City’s radon gas program will help save lives. 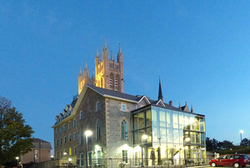 Guelph Mercury Tribune. Retrieved from HERE.